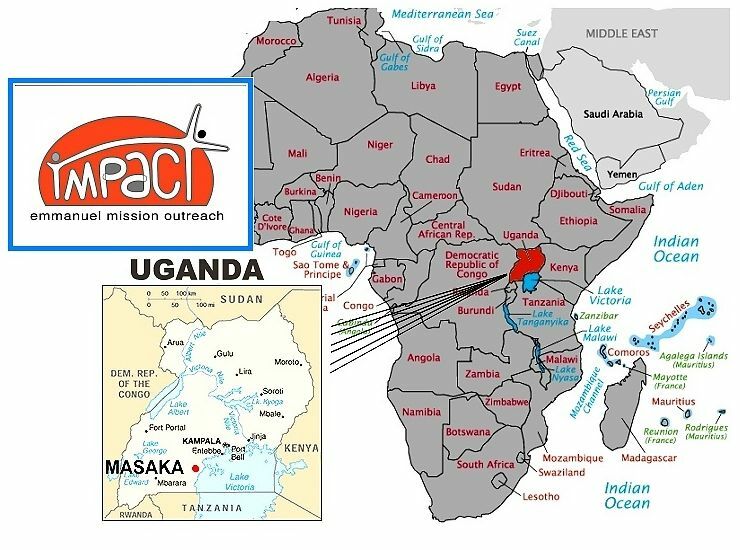 Impact is a mission outreach to Uganda, comprising the building of relationship between Emmanuel Community and Holy Trinity Community in Masaka, Uganda through visits of small teams of people, sponsorship and financial support, and a number of other initiatives. Read about some of our key projects below and get involved - we'd love to hear from you! Help vulnerable orphans & children through education in Uganda - Work together with us to raise up the future leaders of Uganda. Holy Trinity Children's College will be much more than a building with learning facilities. For the students, their families and the community it will become a path of growth, hope and change. The aim of the Holy Trinity Children's College is to be a school which provides quality education, a loving environment and strong Christian values from kindergarten to vocational courses. The curriculum, designed to build confidence, competence, critical thinking, leadership and well-being, embraces the unique quality of each child. Investing in a school changes many lives. A School creates jobs and the income that is generated reduces the poverty levels in the local community. Imagine if you could not read or write .... Imagine the ongoing poverty that enslaves. Will you take up the challenge to help build a school that gives hope, dignity and a promise of a bright future to the poor and disadvantaged children. Making bricks for the school. Take up the challenge and make an irreplaceable difference to a child’s life! Authentic handcrafted jewellery made from recycled materials by Ugandan women. All proceeds go towards empowering women to leave forced prostitution and take control of their lives, restoring dignity & renewing livelihoods. Be part of the solution. The beautiful jewellery is very fashionable and sells so quickly. Pick up a ‘Jewellery Box’ to sell to your friends or in your workplace. Just $20 AUD buys a Lugandan bible. To date we have been able to send over 300 bibles into Uganda. How valuable it is to be able to read God’s Word in the native language! Contact the Emmanuel office to donate today. These projects and needs are determined at this time by Holy Trinity Community, our ’sister’ community, in Masaka. From time to time we offer Impact Uganda Experiences. The main goal for the Impact Experience is to ‘enlarge your encounters with others’ by walking in solidarity with the Holy Trinity Community in Masaka and deepening relationships. It is not a service project as such but you will definitely give of your time, labour, knowledge and share your faith with amazing people. Immersion is an important value in understanding and embracing this experience. Immersion involves living, however briefly, as the people in Uganda live, eating what they eat and accompanying them in their struggles and joys. The greatest challenge is not simply to give, but also to humbly receive, to be willing to stand back and listen and learn from our hosts. Your greatest role is to simply share your compassion and to share yourself. You will learn from our local brothers and sisters what faith means to them, how their programs develop and improve their community, and about the local culture while taking in the sights, sounds and foods of Uganda. Realistically, we may not be able to achieve a lot during our short stay, but you should be able to get involved with some projects that will contribute to the experience. Involvement with Uganda began in 2004 with the Bishop from Masaka, Uganda, asking NET Ministries Australia to train youth leaders. Since that time NET and Emmanuel Community have partnered and set up a relationship with the Holy Trinity community in Masaka. What are the Aims of Impact? The needs are great ...How does one respond? Scripture says "How wonderful are the feet of those who bring good news of freedom..“ It is exciting to be part of a global vision to bring ‘good news of freedom’. All of us can contribute in some way whether this be done by physically going, or by prayer, or by financial giving ... all are important ... and all bring freedom. The challenge before us often seems never ending and overwhelming... but we can change the world one step at a time. Hence our motto 'making a difference - one child - one school - one community - at a time' . This vision of changing the world one step at a time will work because people like you care enough and believe enough that one person can make a difference and together we break down the ‘giant’ of world poverty into ‘bite size’ pieces as we motivate each other to make a response. Make an IMPACT on poverty. Join us and be that DIFFERENCE.